Concesionaria Vuela Compañía de Aviación, S.A. de C.V., operating as Volaris, is a low-cost airline from Mexico, and the country's second largest airline after Aeroméxico, thus being a leading competitor in the Mexican domestic market, with a market share of around 13-14% of domestic traffic. The airline is based in the city of Toluca in Mexico State. In the aviation industry, Volaris has earned popularity as a budget airline. Its fleet size of 27 helps the travelers to move to 31 destinations. 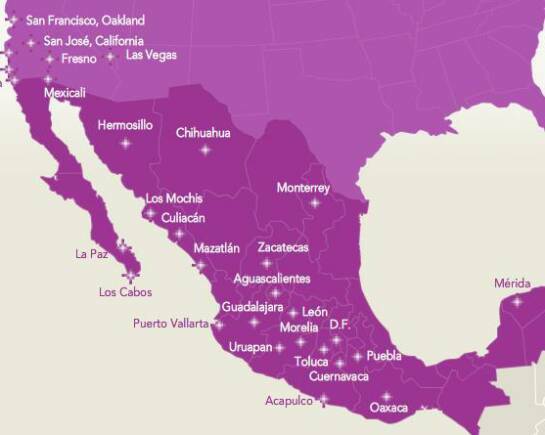 The travelers in Mexico are considerably benefited by the free transportation service of Volaris from Toluca Airport to Mexico City's Santa Fe area. The flight service of Volaris was started in 2005. The business partners to be involved in purchasing the business rights of Volaris airlines include Grupo TACA, Grupo Televisa, Inbursa and Protego Discovery Fund. Each of these partners had made an investment of $100 million USD.